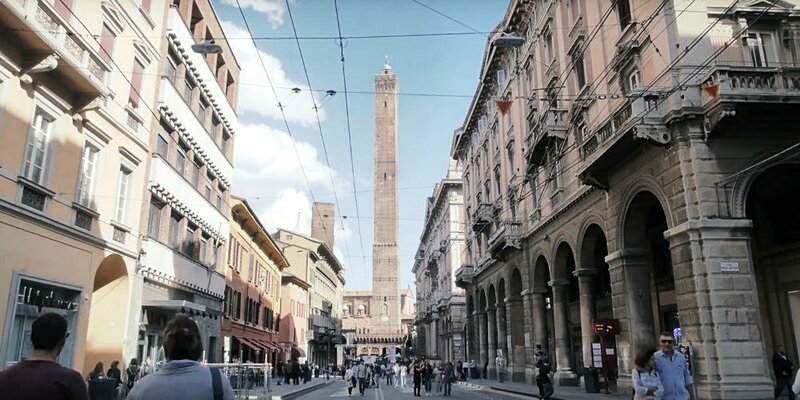 The Italian city of Bologna had tried to reduce CO2 emissions before, by banning the use of polluting vehicles during the day. This didn’t go down well; so SRM, the local public transport authority, decided to try using a carrot instead of a stick to encourage citizens to switch to more sustainable modes – and the result was incredible. Thousands signed up to their Bella Mossa programme as soon as it launched in April. By the end of its six-month lifespan in September, 15,000 people had taken part. Like many major cities, Bologna struggles to manage traffic congestion and its side effects. In the past, the approach has been to penalise people for using cars, which was often unpopular. Instead, Bella Mossa deployed the BetterPoints Behaviour Change Management System and used positive incentives to encourage people to change the way they travelled around the city. The programme rewarded people with points for walking, cycling or using public transport, and those points could be redeemed against high-street goods. ‘During the winter period, if you had an old car, a polluting car, you couldn’t use it from 8am to 8pm,’ said Marco Amadori, Bella Mossa’s project manager. ‘People complained, as can be understood. It’s not a good approach. The numbers are impressive: 15,000 people recorded more than a million sustainable transport journeys, totalling 3.7 million kilometres – almost 100 times around the world. It’s calculated those journeys may have saved as many as 750 tonnes of CO2 emissions. Marco and Giuseppe are on the same team that’s behind the European Cycle Challenge, so they too know a thing or two about encouraging people to be active. They knew the rewards had to be worth the effort, so they partnered with a wide range of retailers, from the major Italian supermarket chain, Conad and the international sports retailer, Decathlon, through local budget chains, bike stores and opticians to independent bookshops, restaurants and bars. They also knew that it had to be easy for people to redeem their points, so they worked with BetterPoints on implementing the major barcode standard EAN13 into the smartphone app, so people could scan their phones directly into a retailer’s barcode scanner. Their effort seems to have paid off. ‘A lot of people are talking about this campaign and we are very satisfied with the level of engagement,’ says Giuseppe. ‘It is really a big success,’ adds Marco. Bella Mossa is also attracting wider attention. At the end of September, it scooped the European CIVITAS ‘bold measure’ award for its innovative approach to tackling air pollution. Accepting the award, Bologna’s Deputy Mayor, Irene Priolo, said, ‘Bella Mossa ‘has been one of the most effective tools to promote sustainable mobility in our city in an innovative, fun, and incentivizing way. ‘Through Bella Mossa, the city of Bologna has been able to establish a very effective public-private partnership, involving public bodies, businesses and thousands of citizens in a great mobility game,’ she said. Bella Mossa’s participants seem happy, too. ‘The best app of recent times,’ said one; ‘a wonderful initiative,’ said another. ‘Can’t I rate it 11 out of 10?’ asked one young man. Bella Mossa was funded by the European Commission’s Horizon2020 programme, EMPOWER, which set out to substantially reduce the use of conventionally fuelled vehicle use in cities by rewarding people for choosing more sustainable and active forms of transport. It was powered by BetterPoints’ Behaviour Change Management System, which uses a smartphone app to motivate people with a sophisticated mix of incentives, goal-setting, messaging and challenges. Next: Next post: Barclays Entrepreneur Awards 2017: we didn’t win, but we got to the final!